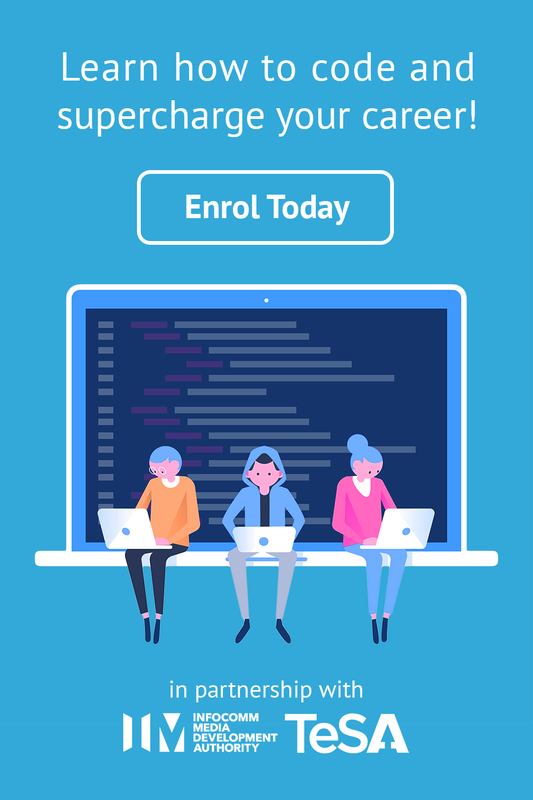 Knowing how to code is a desirable skill to add to your resume, but learning how to code for the first time can be intimidating. Whether you’re starting on a new career path in software development or wanting to learn how to code to advance your career, these confidence-building approaches will help you learn more effectively. Many Singapore education schools have started to embrace and adopt coding as part of their mandatory curriculum. Whether you are learning it as part of a class or on your own, you may find it difficult to come out of your shell in an environment that has embedded a competitive in nature and focused on top performers (the kiasu phenomenon). This is where building a support network can help build confidence as a beginner in this field. One such support network is Junior Dev SG, a community dedicated to supporting junior developers and newbies of Singapore’s tech industry. This group holds bi-monthly socials as a way for new developers to meet other developers in Singapore and learn to code from one another. Since the membership focuses on junior developers, everyone has a similar level of experience. You benefit from each other’s successes and learn from each other’s mistakes, allowing you to accelerate your professional growth and feel more comfortable and confident in a new industry. Given the opportunity to teach an audience of almost 100 when you have less than 6 months of experience in their profession, would you take it? That’s exactly what Shirlaine Phang and Gloria Soh, two recent graduates of ALPHA Camp’s web development program, did on a talk about styling web pages using CSS Grid. Gloria recommends that beginners like her to give this a try. She stresses, “It was also beneficial to us, as we got to push our own learning limits while thinking of what topic to present. We also had to trust each other to improve our skills with peer reviews.” ALPHA Camp’s instructor Daniel and teaching assistant Raeger reaffirm how this attitude characterizes a strong learner. Many people think they have to have years of experience or professional recognition before teaching others. If you take this approach, you deny yourself an excellent method to build confidence in your new professional path. No amount of reading, listening or watching can replace practicing and doing when learning something new. However, according to Anders Ericsson, a professor of psychology at Florida State University, not all practice is the same. In order to truly improve and build your confidence, you have to engage in deliberate practice, which involves stepping outside your comfort zone and trying activities that address your weaknesses. As you engage in deliberate practice, you may be tempted to give up when you’ve been trying to code a feature or fix a bug for the better part of a weekend. Remember that there are no shortcuts in acquiring programming skills, or any kind of skills for that matter. Every struggle and the subsequent triumph, no matter how small and insignificant it may seem at the time, helps you build your confidence on your path towards becoming an expert. Your peer network will help you build lifelong learning habits that are useful for picking up a programming language and other in-demand skills in the digital world. Interested in reading more? Check out How Not to Learn Coding.